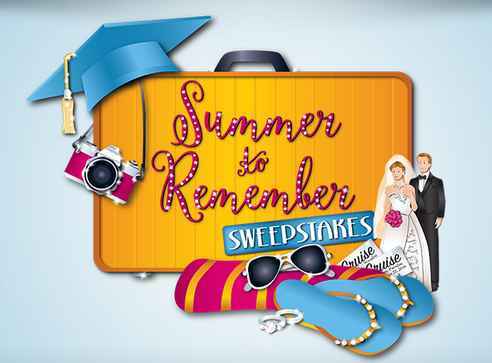 Quacker Factory brings you the 2018 Quacker Factory Summer to Remember Sweepstakes where they will be giving away $1,000 Pre-Paid Visa Debit Card to one lucky winner. You can use this Pre-Paid debit card on a Family Getaway, Graduations, Weddings, a Class Reunion, a Cruise, a Camping Trip or a Girl’s Weekend! Whatever Your Heart Desires. During the sweepstakes period visit this link: Quackerfactory.com/2018-summer-to-remember-sweepstakes to go to the sweepstakes page. When To Enter: The Quacker Factory Summer to Remember Sweepstakes begins on Friday, June 1, 2018 at 12:01:00 AM ET and ends on Sunday, July 1, 2018 at 11:59:59 PM ET. Sponsor: The Quacker Factory, a Trade Name of The Quack, Inc. Sweepstakes Prize: The Grand Prize Winner will receive the following (the “Grand Prize”):One (1) Winner will receive a $1,000 Pre-Paid Visa Debit Card.